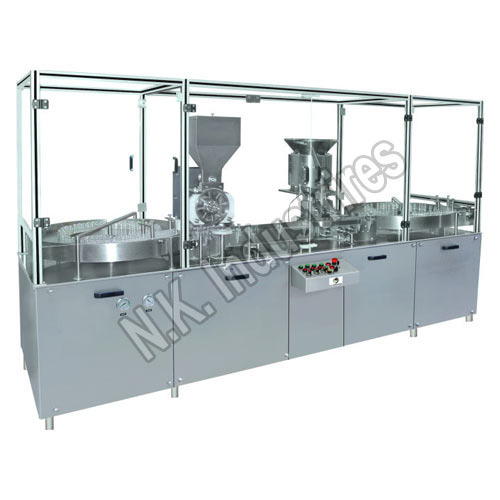 We Are Poineer Manufacture Of Single Head Injectable automatic Dry Powder Filling Machine which Is Designated As Model NKPF-120. This Machine Can Despense Powder Inside The Vial As Well As Carry Out The Stoppeing Operation . Semi Automatic Dry Powder Filling Machine Is Quite Useful For Start Up Industries Where They Can Fill Powder In Vial At Moderate Speed With Minimum Human Intervention.